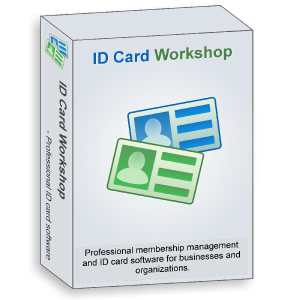 ID Card Workshop 3.6 has been released, added programming ability for this professional membership management and id card making software. ID Card Workshop is a professional and easy-to-use membership management and ID card software for businesses and organizations. With its included powerful multi-layer ID card designer, various templates and samples, ID Card Workshop enables you to create ID cards, employee badges, membership cards, loyalty cards, VIP cards or any other types of ID cards never been easier! ID Card Workshop Team has released ID Card Workshop 3.6, a professional but affordable membership management and ID card software for Microsoft Windows. With this update, we have also fixed some bugs on data selections and project backup. Unlike other high priced solution, ID Card Workshop provides overall low cost solution for businesses and organizations. It helps users not only reducing the first acquisition costs but also the on-going operation costs. To achieve this goal, ID Card Workshop provides a pay-as-you-go licensing system and overall low-cost solution for ID card making and card verification. With its inbuilt full featured membership management feature, you don't need to buy another software to manage your member data. it also supports 1D barcode(Code 39), 2D barcode(QR code) and barcode scanners ,magnetic stripe readers(with keyboard interface) and the webcam capturing feature, which enables users to create their own all-in-one membership management, member enrollment, cards issuing and cards verification system at low-cost! The multi-layer card designer enables you to insert images, texts, 1D barcodes, 2D barcodes, vector shapes, logos and arrange them as you like. It also built-in variety of templates to help you design your own ID cards. Supports Access 2000/2003/2007/2010, Excel 2000/2003/2007/2010 and SQL based databases for membership data storage. The membership management features of ID Card Workshop has three major parts: Enrollment, Records Manager and Records Seeker. Enrollment has a user-friendly interface that allows you easily input membership records and take picture on-site via webcam. Records Manager enables you edit, delete or modify the specified records. Records Seeker helps you to find the specified records by searching, you can also combine with barcode scanner for on-site card verification. ID Card Workshop has two types of printing mode: ID card printer mode for ID card printers. Layout printing for laser and inkjet printers which supports Avery and Teslin ID card perforated papers that enables you to make id cards without cropping even you are using a consumer-grade laser or inkjet printer. ID Card Workshop has built-in magnetic stripe encoding feature which developed under the standard of ISO/IEC 7811. This feature enables you to produce magnetic stripe cards with magnetic stripe supported ID card printers. Enables you to implement your own business logic and extend the functionality of ID Card Workshop by create customized scripts. With just a few lines of script, you can easily create a one-click check in/check out feature for your visitor system, or adding automatic membership level upgrading feature based on the amount of money spent by members for your membership system. Copyright © ID Card Workshop Team, A division of PixelApp Ltd.